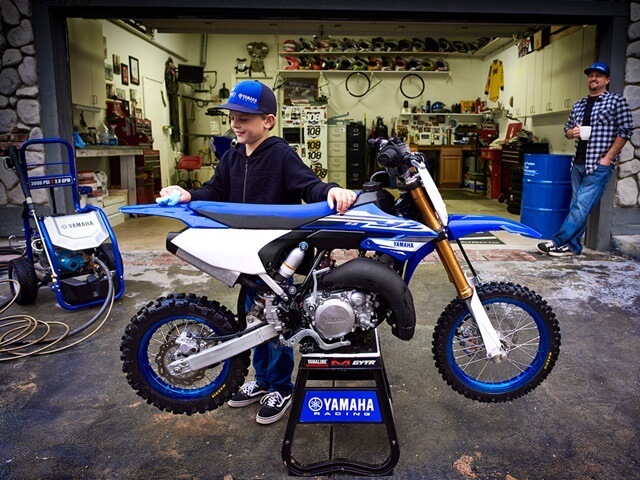 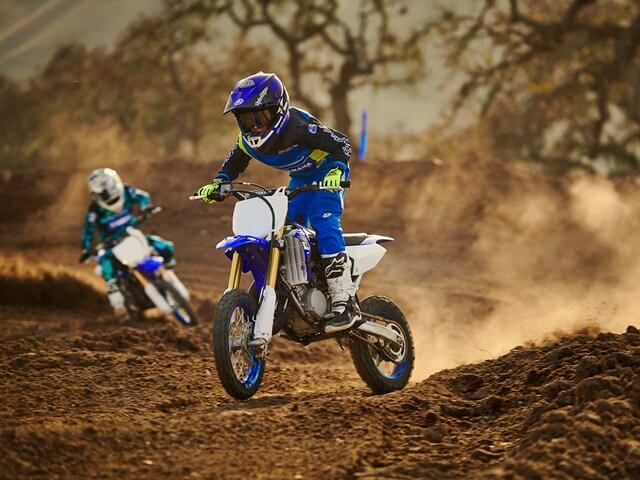 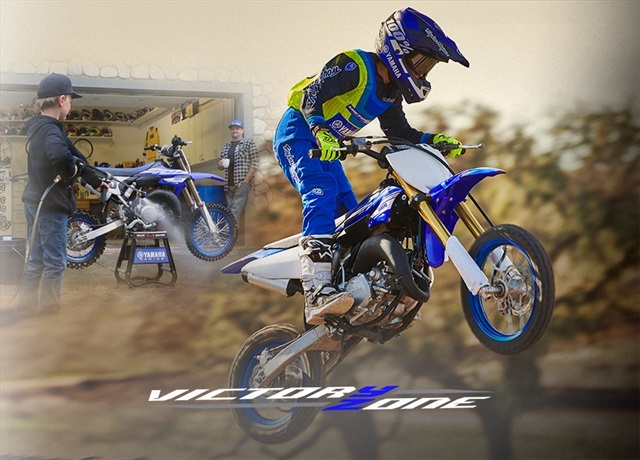 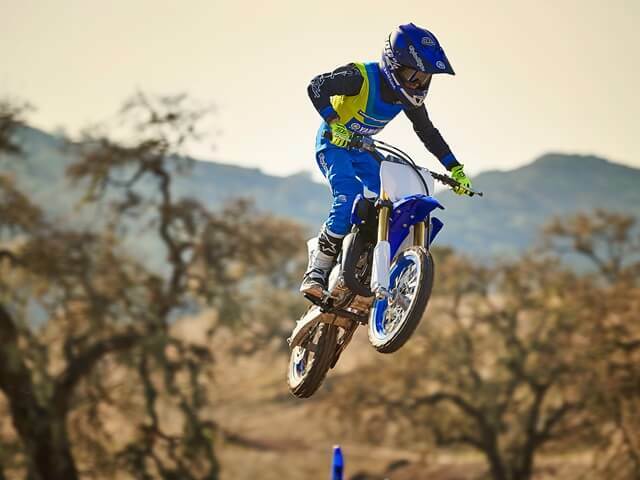 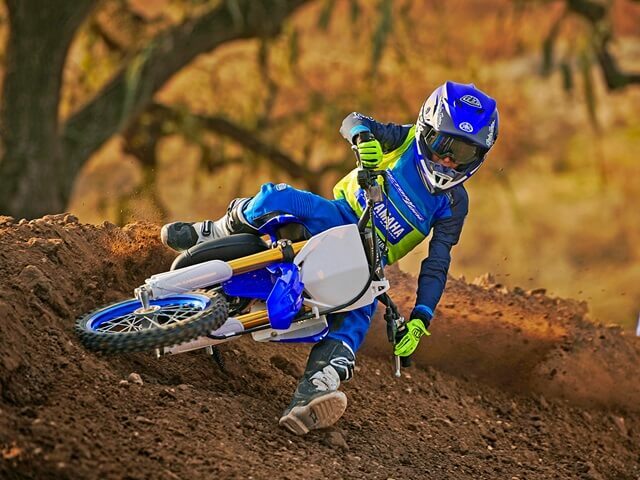 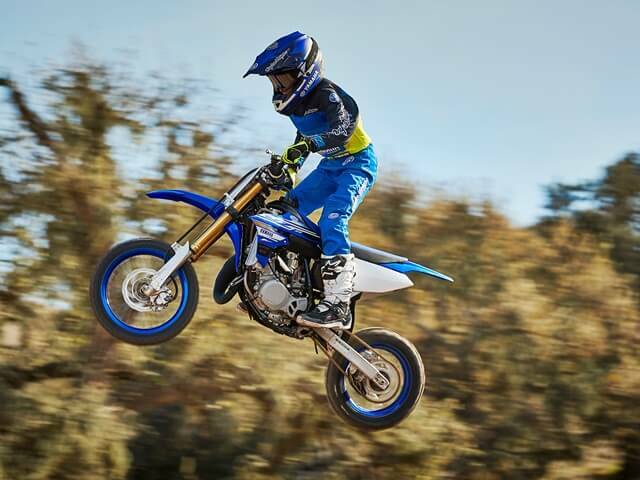 The 65cc two-stroke powerplant is all new for the YZ65, and features the same advanced technologies found in Yamaha’s race-winning YZ125 and YZ250 motocrossers. 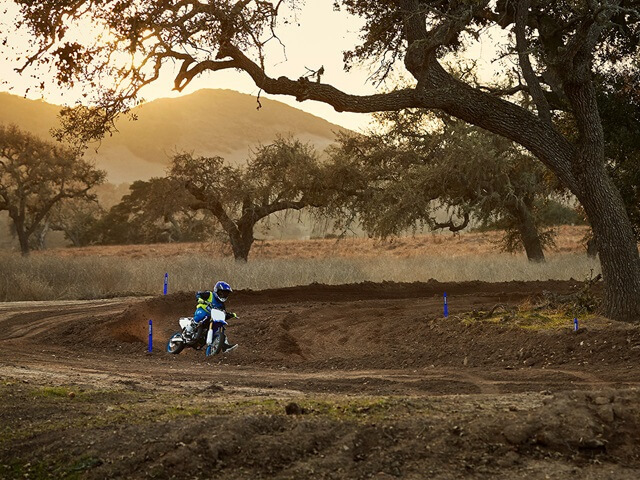 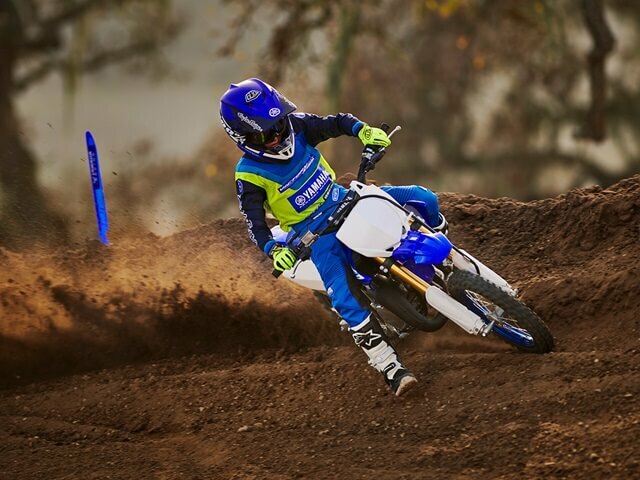 Up front, a 36mm KYB® fork offers unmatched compliance with settings based on Yamaha’s extensive racing experience. 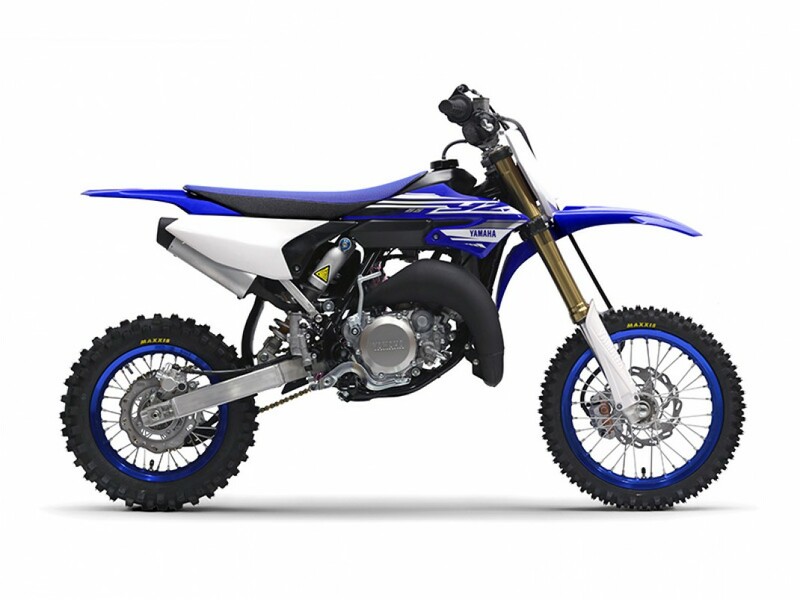 Out back, a new link-less shock design is light and compact to suit the needs of 65cc-class riders, and acts through a new swingarm with YZ125-style chain adjusters. 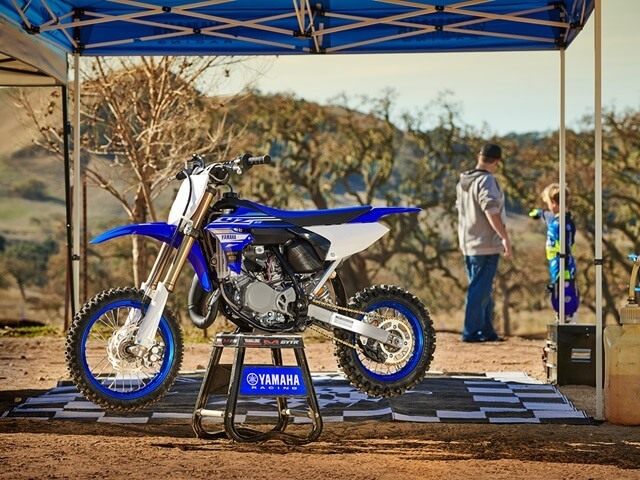 Both front and rear suspension systems are tunable for both rebound and compression damping. 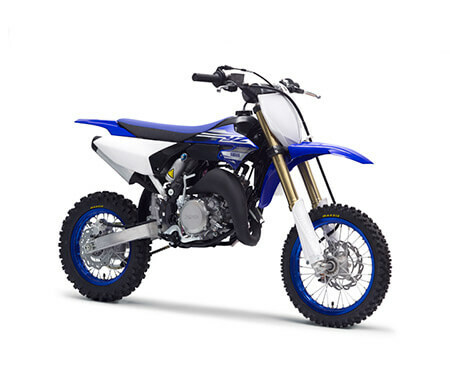 Patented YPVS™ combines crisp bottom-end torque with potent midrange and free-revving top-end, making the most of the compact engine and lightweight chassis.